There are 76 days left for the closure of the 12-21-2012 cycle. Beginning of the Genesis of the Monkey, that lasts 6 Wavespells, 6×13= 78 days, that means, the last 76 days before the end of the cycle, there are in the Genesis of the Monkey http://ondaencantada.com/wp-content/uploads/2012/01/encantamiento-libro-del-juego.pdf We are still on the Electric Moon of the Service Deer, see http://ondaencantada.com/2012/09/noosboletin-de-la-luna-electrica-del-venado-del-servicio-no-28/. We are in the 131 kin, on the mystic column, center of the Tzolkin and harmonic 33, magnetic blue Monkey. Wavespell number 11, Blue Monkey, of transformation. On the galactic Archetypes the Monkey is the Illusionist, the Lord of the Game, Architect of the Form, and known by the name of the “The Blue Alchemist”. The Illusionist is the Third Door of Power in the Court of the Prophet. Magic is the beginning of the prophecy. The Monkey has three qualities: PLAY, MAGIC AND ILLUSION. We´ll see first the action of PLAY. What can we understand for play? What is the game of the Monkey? How can I tune in to him? Everybody remembers when we were little the different forms of play we had, some amused us, some were boring, even scared us. But to keep up with tour friends, we pretended they were perfect. Subsequently this is still happening in our lives. Even in situations where we don’t agree, we keep quiet and we bend down our heads, accepting the unacceptable. So, the years go by, and we forget the wonderful games we used to play, that made us happy. Why can´t we feel again like that? What game can we play and be happy again? It´s easy, we have to “always play according to your heart rules”. Those rules make you feel great, make you over your inner child, allow you to play with other people, make you recognize that the important thing is to play not to win, make you conscious which counters you have to move. Which are those counters? For everyone the positive qualities that every person keeps in touch with his inner self. This in particular is the game of life, with love, and enjoyment of life. The power is MAGIC. If at the game we add the magic, everything will be wonderful. The magic is in every act of life, in every situation we live, in every decision we make. If we can enter and live with conscience every detail, we will know they are full of magic. Some events take us to another, a person connects us with others, a lecture opens a register, a friend makes us feel fulfilled. And all this is part of the magic of every moment. With the Monkey, the seriousness evaporates, the sadness fades away, and the fear disappears, joy and optimism just prevailing. What we can´t get today, tomorrow we will, in the meantime I am happy. And the essence is the ILLUSION. For some reason the galactic archetype is the illusionist, the one who changes the forms, the one who shows us scenes that appear impossible, the one who shows objects and make them disappear before our eyes. If this is in the external level, what can occur? Everyone has gone through situations inside themselves that seemed impossible. Remember the Monkey-illusionist and juggle with life. If something doesn´t flow, get out of that game. If you don’t enjoy certain companies and reunions, say good bye to that game. If we don’t like our partners of play, we can change the counters. Everything is possible if we set an intention. The Monkey transports us to the world of numbers and teaches us to see them with identity. The Monkey teach us the numbers of the spiral of Fibonacci, like the base of life in the planet, and cosmos (video of mathematics auras http://youtube/ml5QFOgAlqE) Valum Votan, Monkey 11, teach us the Synchronotron, the numbers of mathematics 2,7,21 like the base of the matrix 441 of 21×22 (see more in Synchronotron, http://ondaencantada.com/category/synchronotron/ ). 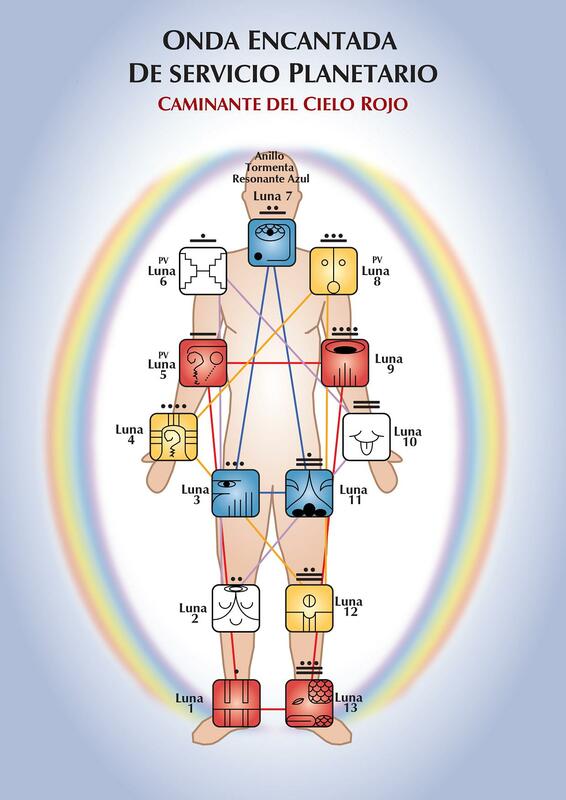 All in nature and also inside us is based on numbers, but we can´t see this. The game of life is different for each planetary kin, we all participate, but with different rules. Now, at the end of this cycle, the rules must be love, wisdom, magic, light, evolution of the conscience and all that elevate us. Every one of us plays with our own rules, accepting or denying the others´ rules. The magic depends in how we live the circumstances we have to live. Nobody can play in your place. LIVE IS A WONDERFUL AND ROUGH GAME. THE ILLUSIONS MAKE US SEE WHERE THERE IS NOTHING TO SEE, AND THEN WE MISS THE ANSWERS. CALL THE MONKEY TO SHARE YOUR EXPERIENCES! DO I SMILE LIKE A KID? AM I HAPPY LIKE A MONKEY? WHAT DO I ASK FROM LIFE? WHAT KIND OF JOKES DOES THE MONKEY PLAY? ARE WE MATHEMATIC MONKEYS? ARE WE FUN? THE NUMBER 11 IS THE KEY TO THE MYSTIC FREQUENCY! I AM A MONKEY WITH NO EGO! I ACCEPT THE GAMES OF MY LIFE! CAN WE PLAY TO REACH THE LOVE OF GOD? YES!!!! There are 75 days left. Today Kin 132, Harmonic 33. Finishing the 28 days that VV lived when he received the 20 Tables of Time´s Law, it is about those Born under Bio Human Moon Telepathic Sun without Ego. http://ondaencantada.com/2011/04/las-tres-iniciaciones-auto-existentes/. All you can have is harmonic thoughts, because if someone can read them they should be against love. The wisdom is the source of knowledge for Human beings, when they live and respect free will. For to do what I want, nobody forcing me to do something else, also I have to allow others to act freely and decide. 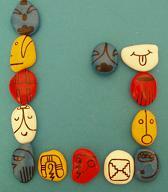 End of the Harmony 33. http://ondaencantada.com/wp-content/uploads/2011/12/Tzolkin.pdf . LIVE IN THE FREEDOM THAT GIVES YOU THE CAPACITY TO DECIDE WITH INDEPENDENCE OF OTHERS. NOBODY HAS POWER OVER OTHER PERSONS. EGO, WHEN IT DISSAPEARS, LEAVES US PURE AND CLEAN OF HEART. I AM A RESPECTFUL PLANETARY KIN WITH OTHERS KINS. WHERE IS MY EGO? IT IS GONE! WOWWWW! There are 74 days left. Again Skywalker, Kin 133 and Magician Kin 74 and if we Sum up 133 plus 74 equal Blue Crystal Hand, 12-21-2012. Numbers have their synchronicity relationship. Today we activate the relationship between sky – earth, the connection with the divine Kin, to service the inner being. It is the moment to explore, leave the routine, and dare to occupy other spiritual spaces. Life has many possibilities to be lived, choose the one that is closer to God. THE SERVICE IS CONTINUED, IT HAS NO DAYS OF REST NO WEEKENDS EITHER. WHEN WE STOP ANY SPIRITUAL ACTIVITY BECAUSE OF SOCIAL OR FAMILY CAUSES, HAVE YOU CHECKED HOW HARD IT IS TO GO BACK TO THE ACTIVITY AGAIN? LINK TO YOUR HIGHER BEING AND RECEIVE DE LIGHT BEINGS TO TALK TO YOU! There are 73 days left. How can we become Monkeys? With the Magician´s energy, living the moment, knowing well the way to deal with it, how to experiment the situations. The Monkey´s magic is defined for the enchanting of the Magician. Both tell us that EVERYTHING IS POSSIBLE that we can reach the continuous conscience because we are beings with a great psychic that we have to start to pull out and use. WITH THE HELP OF THE CRYSTALS, WE CAN DO TEMPORAL CONNECTIONS WITH THE CEREMONIAL MAGIC. AND WITH RECEPTIVITY THE ANSWERS WILL COME TO OUR CONSCIOUS MIND. IF IT IS FREE OF CONCEPTS, IT WILL RECEIVE IT! FREE YOUR MIND FROM PRECONCEIVED IDEAS THAT TAKE YOU APART FROM THE DIVINE REALITY! UNIFY YOURSELF WITH YOUR SUPERIOR BEING AND LISTEN TO HIM! There are 72 days left. The Eagle with its magic flight and its vision gives us the possibility to take the power to create from a free mind of concepts and prejudices. Nothing is more beautiful than seeing from a birch tree everything that is happening, from above, and like Monkeys and Eagles. From that position nothing is the same. We can be split up from emotions and yet get inside those feelings. Thank both because together they give us the base to transform after the Storm. DO I LET MYSELF SEE WHAT IS GOING ON WITHOUT ANY EMOTIONAL IMPLICATIONS? DO I FREE MYSELF FROM STRINGS GOING UP ON THE TREE OF LIFE AND SEE MY LIFE AS A SPECTATOR OF IT? WHAT HAPPENS THEN? I AM NOT TO IMPLY MYSELF EMOTIONALLY SO I CAN DECIDE WITH CLARITY! BY BEING DETACHED FROM EMOTIONS WE CREATE WITH THE SUPERIOR MIND! There are 71 days left. Heptada 12 Yellow “The spirit evolves to wisdom”. The Light Warrior has already worn all the garments. It is willing to face his fears with bravery and their ego with intelligence because it has started to wonder how to reach the superior balance. He needs to feel that God has created all the human beings as equals and for that reason, we have to help each other. Look around and observe beyond the external appearance, all of us are divine sparks. SOCIETY LIVES UNBALANCED. THE NATIONS HAVE DIFFERENT FORMS TO COMMAND. THE RELIGIONS FOCUS THEIR BELIEFS IN GOD IN DIFFERENT WAYS. ONLY BY FEELING OUR INNER LIGHT WILL THE WARRIOR FEEL ABSOLUTE EQUALITY FOR ALL HUMAN BEINGS IN THE PLANET! There are 70 days left. Today Resonant Earth is an appropriate day to connect with the Earth and harmonically canalize what inspires us. The Earth –Gaia is more alive than ever and it’s moving and adjusting always. We cannot understand the process from what we have been taught what is an inert mass. But we know that this is not true, that it´s magic that gives life to all the living organisms and elemental nature. SOON THE ELEMENTARY WILL BE SEEN BY SELECTED PEOPLE WITH THE PSYCHIC QUALITIES AWAKENED. YOU CAN BE ONE OF THOSE IF YOU ARE PREPARED. HOW? BEING MORE CONSCIUOS OF YOUR ACTIONS AND REACTIONS TOWARDS LIFE. WHAT IS IMPORTANT IS HOW YOU LIVE THE FACTS THAT LIFE PUTS YOU THROUGH! LEARN TO SEE IT FROM THE EMOTIONAL DETACHMENT! IT IS WONDERFUL! WHAT A RELIEF! There are 69 days left. Tell me Magic Mirror, Do I have integrated the Mirror in my being? Do I reflect the divine order in my views? Do I feel happy and share happiness with others? Do I see the light when I see myself in the Mirror? What happened when I meditate and I find myself facing my inner being like in a Mirror? There is a superior order that it only manifests itself when the inferior i is anchored in life. Do I realize that the superior order is more visible in the moments of more consciousness of who am I and why am I in this moment on Earth? WE MUST REMEMBER THAT WITHOUT INTENTION OF IMPROVING IT IS HARD TO ACHIEVE CHANGES. LOOK AT YOURSELF ONCE IN AWHILE IN FRONT OF THE MIRROR AND ASK YOURSELF IF YOU REFLECT ALL THE LIGHT THAT YOU ARE CAPABLE OF GIVING! SMILE! HOW MUCH JOY! There are 68 days left. The 5th Vinal TZEC is starting” The one that reaches the basics”. Solar Storm, What does it remind you of? What is it we listen in the news every so often? That there has been a solar Storm in the SUN. We are in the 24th cycle, and they last 24 years each, of Solar Stains. Every Sun Storm sends information to the Earth in plasma. Part of it gets into the outer layers, and it reaches the human beings. How does it manifest in ourselves? Through the information transmitted by these plasmas. FROM HERE UNTIL THE 12-21-2012 MANY SOLAR STORMS WILL TAKE PLACE. THEY WILL CAUSE SOUTHERN AND NORTHERN LIGHTS SO INTENSE THAT THE CIRCUMPOLAR OF THE RAINBOW BRIDGE WILL BE VISIBLE. WE CAN COOPERATE VISUALISING IT MORE STRONGLY EVERY TIME AND PARTICULARLY ON EVERY MOON, DAYS 7TH, 14TH, 21ST AND 28TH! THE RAINBOW BRIDGE IS MANIFESTING! ASSIST IT! The Planetary Chamber manifests the challenge. The action and the challenge meet each other. There are 67 days left. Today, the 20 days in which the kins are in the mystic column are over. These 20 days are reflecting in everything and in everybody. The Monkey has surely taught us to live these days in merriment and harmony. From the time we see the Sun spreading its beams of light on the planet, everything is clearer and its light gives us so much peace. When we manifest ourselves as divine children, looking for the universal fire´s light, the situations that life puts us through are magic moments in which we have to make a decision. With the Sun, enligthtment sets up, and aren’t that precisely what those of us following the spiritual path want to reach? Nothing and nobody can order your spiritual life about. The may influence the external way in which you manifest yourself, but never in your inner path. The Sun is lighting upon us magically, so that we can see the mirages illusions for what they are, they look real and in many an occasion we go after them. Before acting, let´s breathe deeply and question ourselves, would the most elevated being I have as a role model in my life, react like that? Would it manifest so much rage or remain impassive? It may even send love to this person or situation? WE ARE AT AN IMPORTANT MOMENT OF THE EVOLUTIVE PROCESS. IF WE BELIEVE IN THE TEACHINGS OF THE GREATER BEINGS, ALL IMPORTANT THINGS TAKE PLACE IN OUR INTERIOR. EXTERNAL REACTIONS ARE THE FRUIT OF OUR CONSCIENSCE GROWTH AND THE NEWLY REACHED VIBRATION! SHOW YOUR LIGHT AND LOVE IN EVERY PLACE YOU GO TO! EVEN IF THE OTHERS CAN´T SEE IT, YOU KNOW IT! There are 65 days left. The day of the crystal meeting on the Monkey Wavespell, it comes with the Wind, communicating from the spirit to the inner child that we all have inside ourselves. When we are confused and want to live isolated, without being able to share our beliefs and emotions, the moment comes when we believe that we are always “in the right”. Then, when meeting with other people and talking about spiritual and materialistic subjects we are not used to other opinions, different from ours and so what happens? Two things may occur. Either, I realize my mistake and from that moment I try to be more social with people. Or, the worst that may happen is that I have become an intolerant person and refuse to listen to opinions other than mine; and even if I listen I won´t take them seriously, since I don´t value them, since I believe that only my opinion is worth. All of that besides the fact that I am right or not. Well, it´s not the way of things. You may be right today and I may be right tomorrow. Such is life. Then, let´s listed to the spirit´s breath. Let´s share in the crystal meeting our way of seeing life, at the same time as we pay attention to what the others have to say. Because life is evolution, and communication is important in this process. WITH JOY I DECIDE TO LISTEN TO OTHER PEOPLE´S OPINIONS REGARDING THOSE BELIEFS I CONSIDER UNQUESTIONABLE. AFTER THAT, I CAN DECIDE IF WHAT I HAVE LISTENED TO IS ANY GOOD, IN ORDER TO WALK WITH A LIGHTER STEP. THE INNER VOICE IS TALKING, SAME AS WHEN WE WERE KIDS! TO LISTEN IN SILENCE IS TO LISTEN TO THE SPIRIT! There are 64 days left. There are 64 days left. This is the beginning of the self existent Moon of the Owl of the Form. “THE POWER OF Prophecy evolves the power of Intelligence”. See Bulletin of Noosphere in the Red Queen in www.ondaencantada.com. 13th Heptade. “The Spirit evolves Prophecy”. In the Wavespell of the Planetary Service of this year we get into the Moon of the Self existent Warrior. http://ondaencantada.com/wp-content/uploads/2011/12/Onda-Encantada-del-Servicio-Planetario.jpg, located in the right wrist joint in human body. Today the Wavespell of the Monkey is finished and the Self Existent Moon of the Form of the Owl starts. Night transcends the Monkey. Dreaming, the dream is a reality of Superior states of Conscience. The Monkey is a conexion with every human being´s innocence. When we have reached the reality of Magic, we dream it in the Endless Night, where we all the dimensions join together in our Night dreams. Everything is possible when our dreams transport us to unknown places by unusual means of transport, flying, walking on and under the waters, or in vehicles that don´t exist in our present reality. And all of that, for “what purpose”? Is there any point? This is how we realise that there is plenty of life, beings, vehicles… which even if they aren´t in our material reality, they can be found in the energetic, spiritual and cosmic reality. There are 64 days left for the closure of the cycle and 64 is the number of codons in human DNA. It is important to relate the numbers with the facts and circumstances that surround us, since they give us clues. Soon, our most inspiring dreams can become a reality. Meanwhile, let us work on the changes of the Darkest Night of the soul so we can rise on the New Day full of love and free of ties. Dream, work out your intuition when it comes without being afraid of showing it to others. Ask God for His abundance of life to flood your being. WE ARE PLAYING THE LAST CARDS IN THESE CLOSE TIMES BEFORE THE CLOSURE OF THE CYCLE. NOW IS THE TIME WHEN WE HAVE TO GO OVER OUR LIFE, USING THE MAGIC OF THE MONKEY IN ORDER TO DO IT WITH ENJOYMENT AND TOLERANCE. WE MUST REMOVE THE MAKE UP LAYERS WE HAVE LAID ON OURSELVES TO HIDE FROM SOME RESPONSIBILITIES! NONE CAN HIDE YOU FROM YOURSELF! GO ON FORWARD, LOVE, PRAY, BELIEVE IN GOD, WAIT FOR THE ARRIVAL OF NOOSPHERE HELPING THOSE WHO NEED IT! YOU ARE A PLANETARY KIN! VISUALISE THE RAINBOW BRIDGE ON EARTH AND ON YOUR PERSON! AND FROM HERE WE GO COSMICLY TO THE WAVESPELL OF THE YELLOW SEED AND WE MAKE THE MAGNETIC RETURN. Translated by: Verónica, 13 Storm México; Cecilia, 1 Hand Argentina and Gema 9 Earth, España. Thanks for this voluntary service.